K-pop sensations EXO and Twice scooped up the grand prizes for best album and best song of the year at the 31st annual Golden Disc Awards. The award show has recognized the most prominent artists in Korea since 1986. Since 2006, it has held separate ceremonies for the best album and best song categories. EXO’s third studio album “Ex’Act” landed the boy band its fourth consecutive grand prize in the album category. The accolade wrapped up another impressive year for the K-pop juggernaut, after winning artist of the year at November’s Melon Music Awards and album of the year at the 2016 Mnet Asian Music Awards last month. “Just being here is an honor, yet we received such a great prize,” said EXO’s leader Suho at the award ceremony, held Saturday at Kintex in Ilsan, Gyeonggi Province. 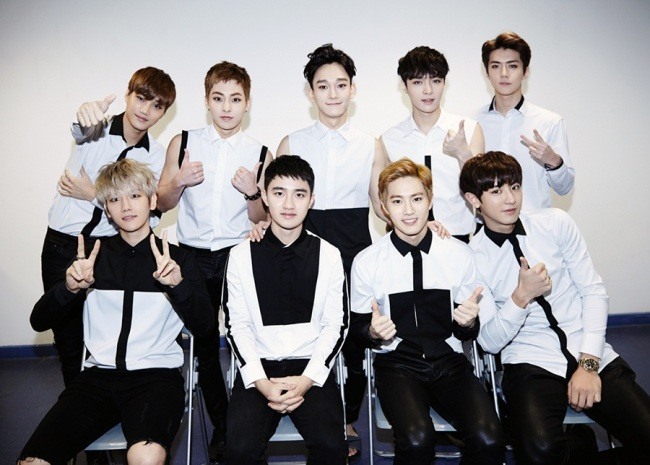 EXO is the first group or artist to win a grand prize four years in a row, with the previous record holder being singer Kim Gun-mo with three consecutive wins. Twice shrugged off any notion of a sophomore jinx by winning the grand prize for best song with its smash hit “Cheer Up.” It marked another successful year for the group, which had also won song of the year at the Melon Music Awards and MAMA 2016. 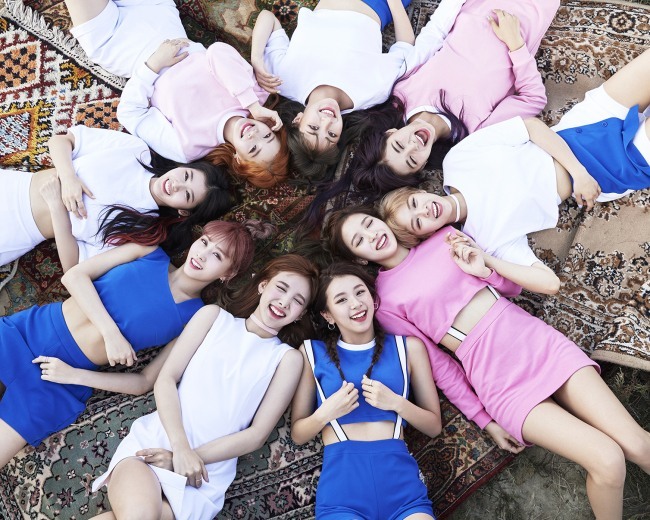 Twice expressed its gratitude at receiving the award when it was “practically still a rookie,” having debuted in October 2015. The multinational group’s Japanese and Taiwanese members also delivered acceptance speech in their respective languages. It became the first girl group since Girls’ Generation in 2011 to receive top honors. In the best album category, NCT 127 and I.O.I won the best new artist awards, while SHINee won the popularity award. The CeCi Asia icon awards went to EXO and Red Velvet, and Bang Shi-hyuk was named best music producer of the year. 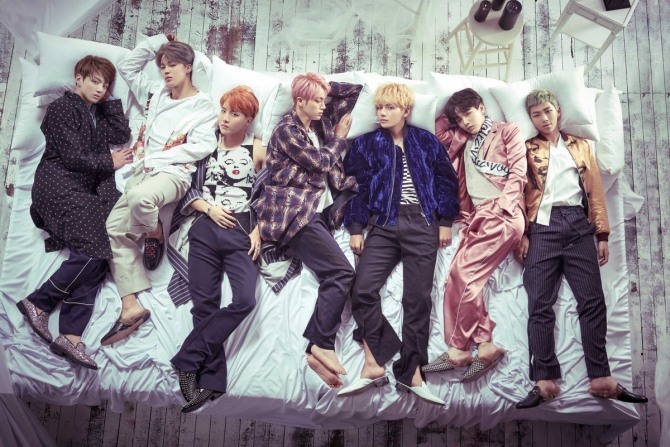 Boy band BTS received the global K-pop artist award. The main prizes, which are given to the most influential groups in the K-pop scene each year, went to EXO, BTS, SHINee, VIXX, Infinite, GOT7, Taemin, Seventeen and Monsta X. For the best song category, Kim Jae-joong received the Asia popularity award, while CN Blue was named the best K-Pop band. The honor of best original soundtrack went to Gummy, the best R&B/Soul artist was Crush, and the best male and female performances went to Sechskies and Sistar, respectively. The best new artist awards went to Black Pink and Bolbbalgan4. The main prizes went to Twice, GFriend, Lee Hi, Urban Zakapa, Mamamoo, Zico, Suzy and Baekhyun, Taeyeon, Lim Chang-jung.